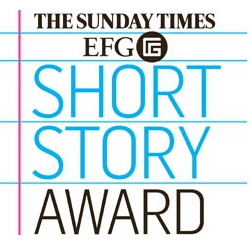 The Sunday Times EFG Short Story Award which is considered as one of the world’s most prestigious literary prizes is inviting entries.Entry is open to authors from anywhere in the world, as long as they have a previous record of publication in creative writing in the UK and Ireland. It is considered as The world's largest award for a single short story as the winner gets £30,000 as the award. It was launched in the year 2009 and is open to only the novelists or short story writers. be first published or scheduled for publication after 1 January 2015. The author can be from any where in the world but must have a record of prior publication in creative writing in the United Kingdom or Ireland. This means the author must previously have had works of prose fiction, drama or poetry published by an established publisher or an established printed magazine in the UK or Ireland, or broadcast by a national radio station in the UK or Ireland. Entries can be sent via e-mail or by post. The past winners of this award have included the Pulitzer prize-winning American writer. The Award is open to authors writing in the English language whose work has been previously published in the English language in the UK or Ireland. The First Prize winner Entry will be the “Winner of The Sunday Times EFG Short Story Award 2016” and prize is valued at £30,000. Prizes will be awarded as cheques to the winners and runners-up only. Include a front page which details the title of story and the word count ONLY. The author's name should not be included in the document. How to get the Entry Form? Entries may be submitted by the author or by his/her publisher or agent with the author’s consent. Entries must be submitted in the author’s own name. The team of judges appointed will select a longlist of 20 short stories from which they will select a shortlist of six outstanding short stories submitted for the Award. All shortlisted Entries will be contacted personally by email or by telephone. The overall winner will be announced at the Award Ceremony in April 24, 2016. The judging will be fair and independent. The judging panel will be appointed by the Award Director in association with The Sunday Times and EFG and will include a representative from The Sunday Times as well as members of the literary community.